Mo's Food Products Smoking Pouch - Stainless Steel BBQ Smoke Bag - Smoke Meat on the Grill - Smoking your meat on your grill has never been easier! 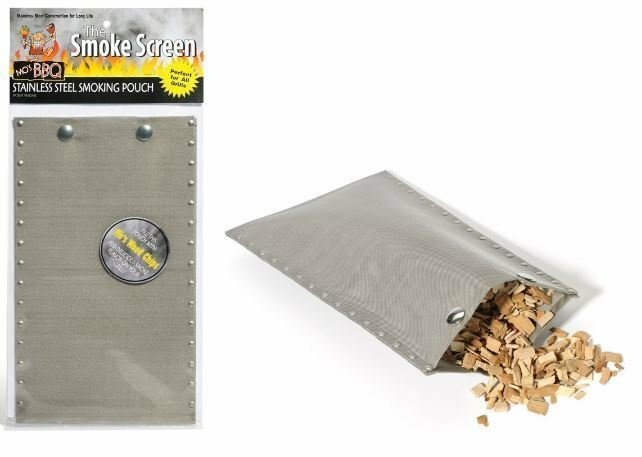 Simply fill the smoking pouch with your choice of wood chips and place on the grill and close. Once smoke starts to appear, reduce heat directly under the pouch, and add food to the grill. Close the grill, stand back, and watch your meat being smoked! Perfect for Gas Grill, Charcoal Grills, or Smokers.